Since opening in 1996, we have built a reputation as a dedicated, conscientious and successful Real Estate Brokerage serving all of San Diego County. Our personalized service and attention to detail sets us apart from the rest of the field. We have represented a diversity of clients: from multi-million dollar luxury estates to downtown condominiums, from seasoned investors to first time homebuyers and from South Bay to North County. We love what we do and it shows when we work with you. We hope you enjoy the site; we built it for your ease of use. We also offer daily email updates tailored to your search criteria. To learn more about us and our office, visit Our Team. Go to our Testimonial Page to see why clients rely on us for all their Real Estate needs. 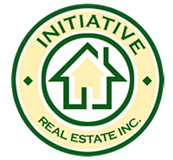 At Initiative Real Estate, Inc our goal is to provide you with the most informed, accurate and realistic guidance in negotiating today's real estate market. Let our knowledge and experience in one of the nation's most dynamic cities work for you.